Most often, schools award scholarships to students who demonstrate outstanding ability or excellence in a particular area, such as sport, music, creative and performing arts or peer leadership. But they are not just restricted to those with excellent abilities. Others are reserved for relatives of past pupils, those in financial need, those from rural or isolated areas, or those who need to board but cannot afford the costs involved. They often cover the basics, like tuition fees, but can also cover materials such as textbooks, musical instruments, uniforms and school excursions. 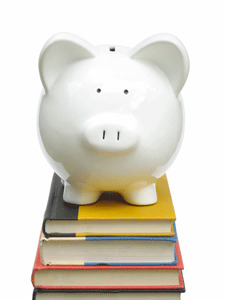 The number of scholarships awarded at each school varies. Scholarship duration may also vary. Some may last the full six years of secondary school while others will only be offered over a period of one year or to Year 11 and 12 students only. These senior scholarships might be used to encourage students to stay on at the school or to continue studies in specific areas such as agriculture, languages, sports or information technology. Many, if not all, boarding schools offer scholarship and bursary funds to both high-achieving students and to those who could not afford to attend the school without financial assistance. See Boarding Schools for more information.